In the early days of BotF, we sourced our boat beverages from Mr Liquor, who is very conveniently located opposite Wharf 3, from where the Manly Ferry departs. We worked our way through Mr Liquor’s rather limited range some time ago. Occasionally, something new will pop into the fridge, but more often than not it’s some Euroswill with dodgy packaging or origins. Amstel made in Spain, Dutch Beer made exclusively for Australian distribution, Belgian tins that no-one will own up to making etc. Fortunately, there are some new options emerging. Firstly, Vintage Cellars in carrington Street Wynyard now dictates the way I walk to the ferry. These guys have suddenly exploded their beer range and have a remarkable range of Australian, American and other odd countries beer available – and it’s cold (take note Mr. Liquor. illiards and I enjoyed a 4 pack of Feral Hop Hog the other night purchased from Vintage. 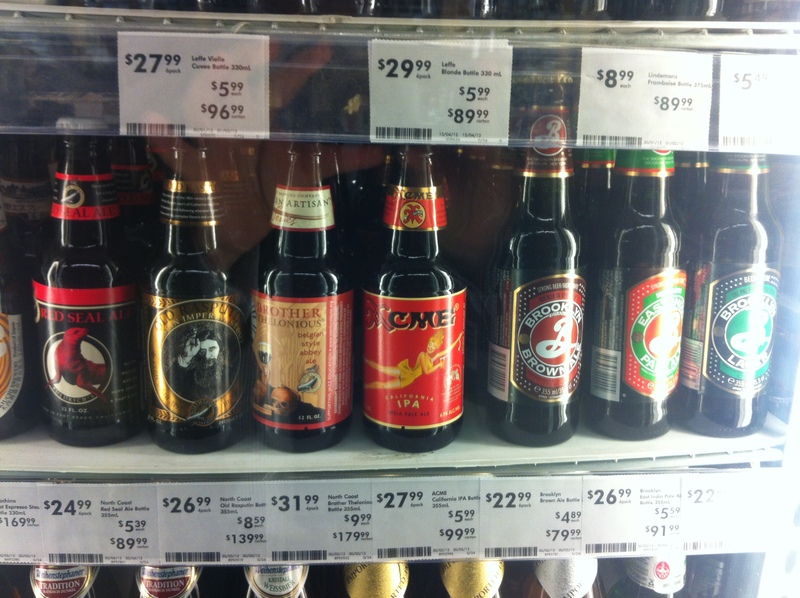 They’re well stocked with Matso’s and Murray’s amongst others. The US range is top shelf – but the impact of the high Aussie dollar hasn’t extended to craft beer prices. A most surprising source of unique beers for BotF’s @untappd account has been the Young Alfred bar in the Circular Quay forecourt. Young Alfred is directly opposite Quay bar – which regularly pumps – but there’s barely a soul ever at Young Alfred (or at least when I’m there before the 5.30pm or 6pm ferry). I tried ‘na biretta, Hooten and Tappetto Volante for the first time at Young Alfred – well two out three ain’t bad. I spied two newbies – 1488 Whiskey Ale and Double Espresso Premio Caffe Birra – a scottish beer and an italian beer – or so it appeared. It turns out that both are made by the same brewer – Traditional Scottish Ales Co., which is based out of Stirling, Scotland. TSA is part of a bottled beverages conglomerate called VC2 that makes a range of “dynamic drink oproducts” including gin and flavoured vodka. There’s a stable of beers under the TSA range and some look quite promising. 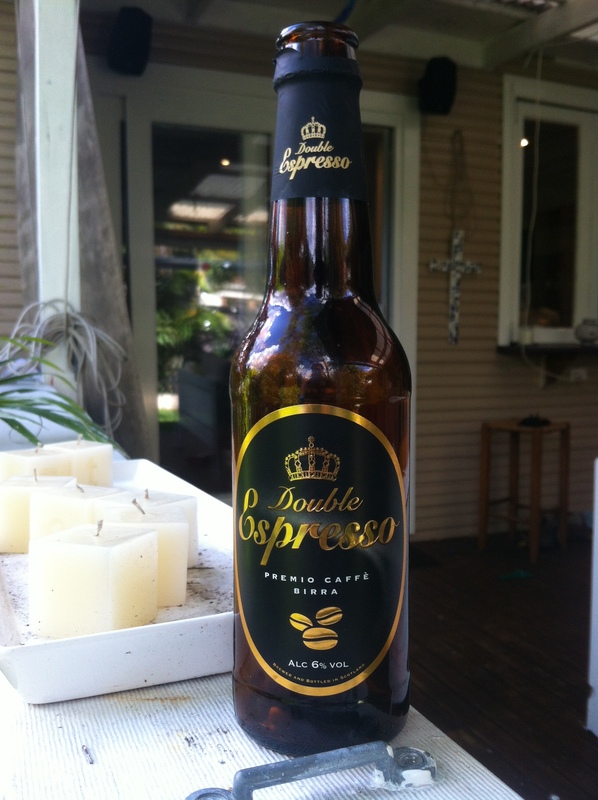 I opted for the Double Espresso Premio Caffe Birra (can’t work out the need to name it in Italian) and was blown away by the strength of the aroma. It was a very powerful coffee liqueur smell – but also reminded me of Iced Coffee Moove. It pours very black, with some head. 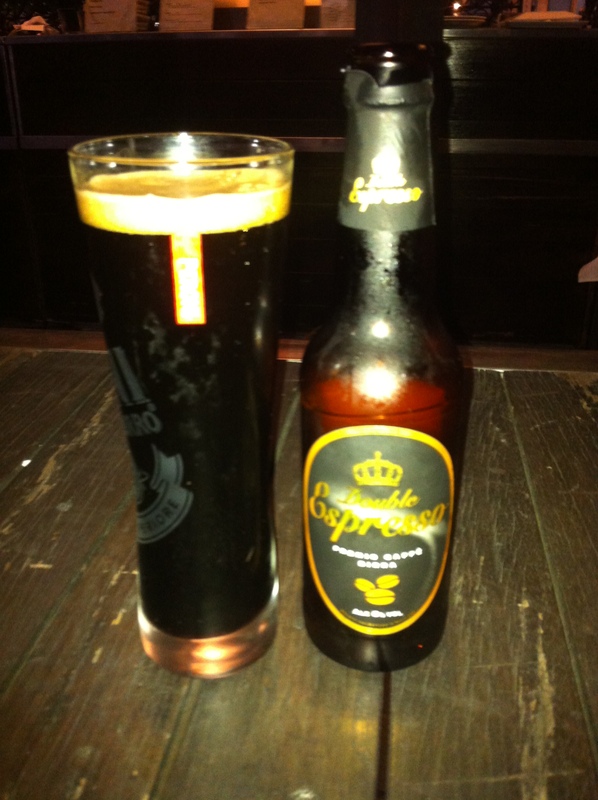 There’s no dodoging the coffee flavour and it really dominates any beer taste. There’s a real smoothness to the experience, and the 6% alcohol is not noticed. I’ve had other coffee beers – and this one is more coffee than beer. I’d try it again – but not at $11 a bottle. A novel experience.